Gary Kelly - The Schroomville Organ donor. 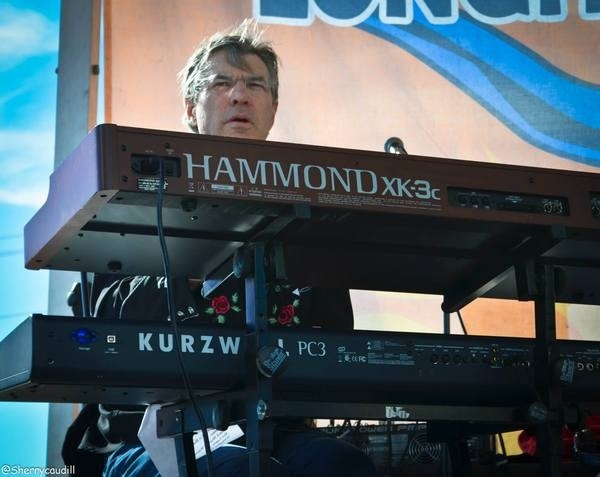 This man has hands that know how to wring tone out of anything that has Hammond on the label, as well as a few things that dont. We love to hear him, so feel free to yell at him to "turn it up!" 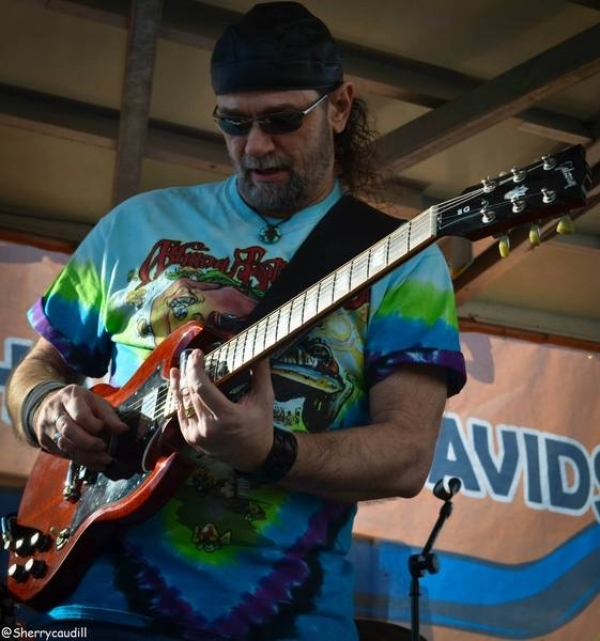 Randy Hudson - Guitars, Slide Guitar, Vocals. Randy makes it look easy. 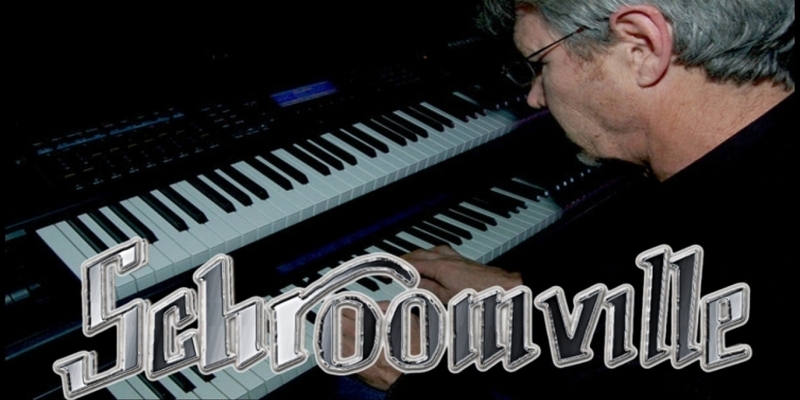 He's also the band's musical barometer....If Randy's grinnin, Schroomville's groovin! Gavin Perry - Bass, Vocals - What is it with ABB and Yankee bass players?! Gavin is ours. Dont sweat it though y'all. He's had a couple of decades to acclimate. We give him a hard time, but he is the anchor on which everything rests, the low end that holds it all together. He's also a pretty decent guitar player. Harry Kelley - Drums / Percussion. Harry is our latest addition and with Cisco provides the percussive kick in the rear that we all live for here at SchroomCentral. 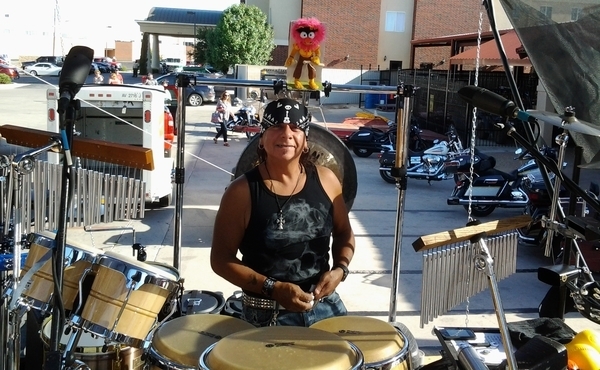 Danny "Cisco" Cortez - Drums / Percussion. Danny is a believer that things always happen for a reason and recently he was contacted by Schroomville to audition for the position of percussionist. 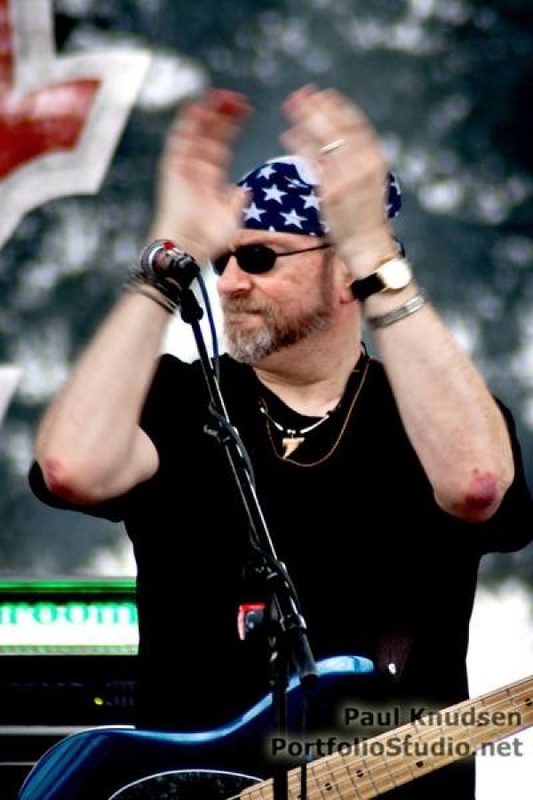 Danny has always been a big fan of the Allman Brothers music and respected the original two drummer section in that band. He was very familiar with the styles of both drummers and as an experienced percussionist he was up for the challenge and accepted the audition. 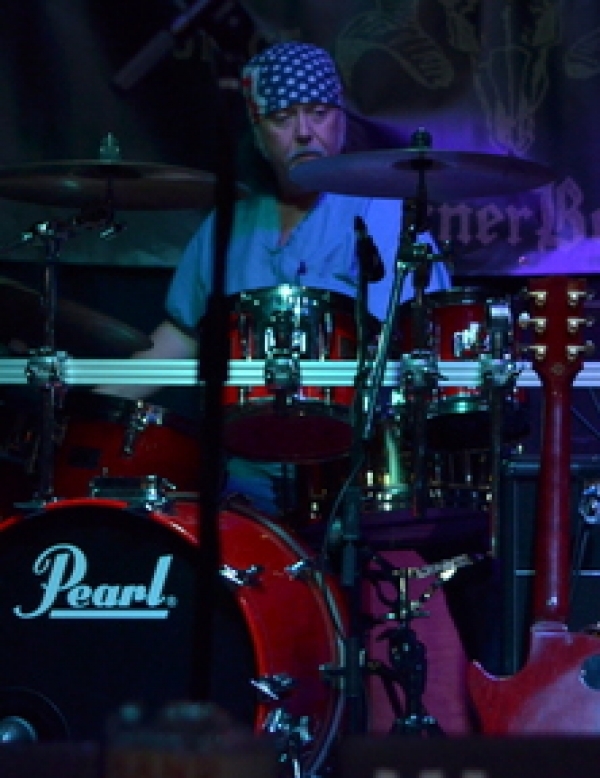 Danny researched and studied the Allman Brothers full time percussionist, playing style and his equipment setup. Within a week Danny was ready to audition. At the audition all the pieces fit together very well and was fun for everyone. 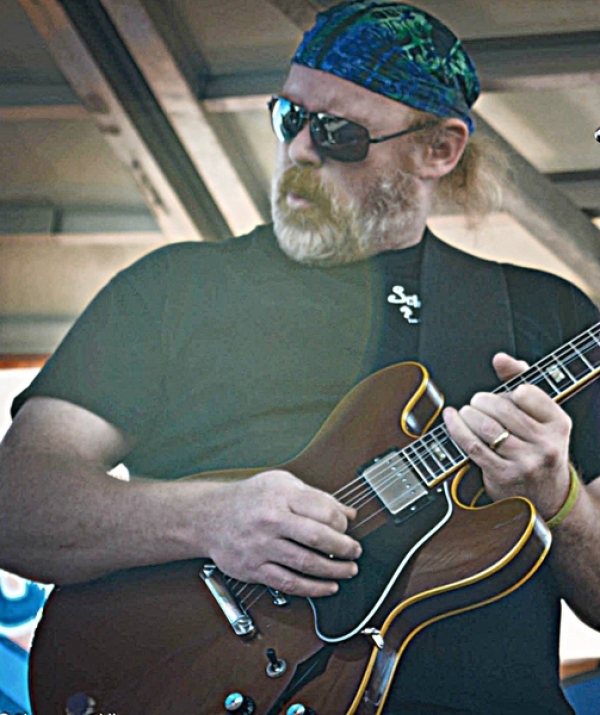 Danny is very impressed with the level of professionalism and dedication to the music of the Allman Brothers that all the band members exhibit. It was a mutual agreement that Danny would be the sixth member of Schroomville. You do Schroom, don't you?